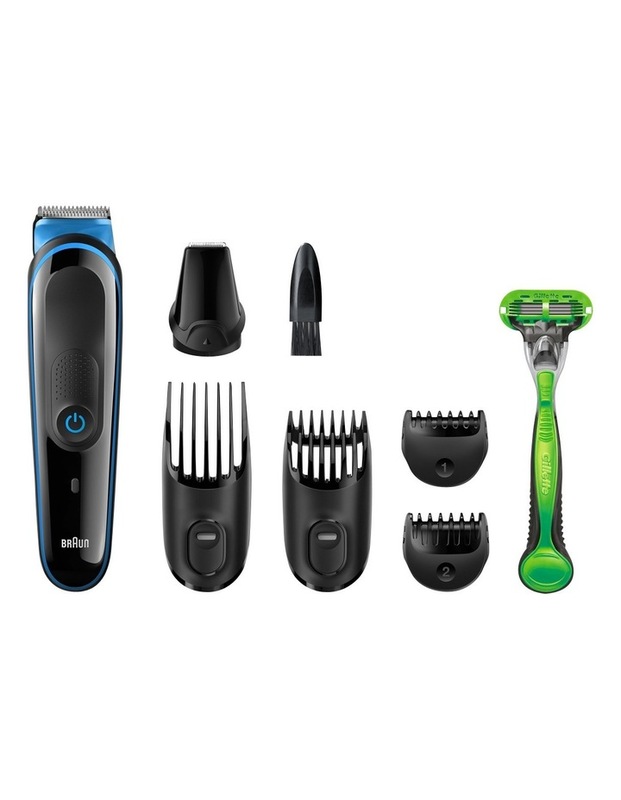 The Braun Multi Grooming Kit offers complete face and body grooming in one kit. Thanks to its clever attachments, perform 7 different jobs effortlessly. 7 different attachments allow you to create your unique style with effortless precision, whether you're clipping your hair, trimming your beard or grooming your body. - Includes 4 combs covering 13 precision length settings from 0.5-21mm and a detail trimmer attachment.